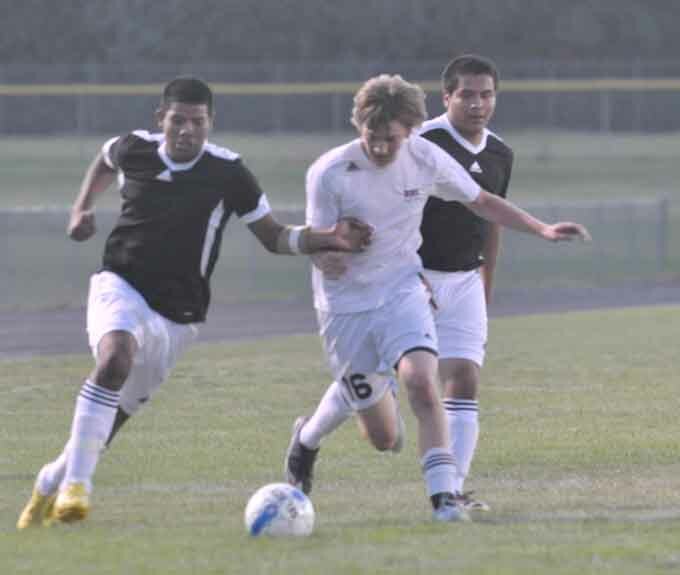 The Berthoud Spartans dominated their season opener against The Valley Vikings 8-0. 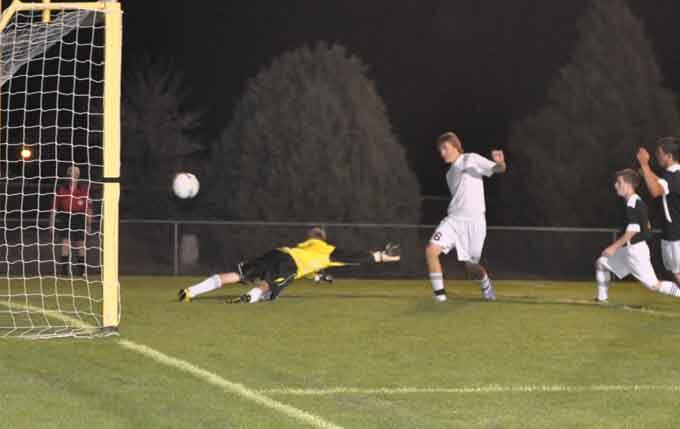 Berthoud controlled the game from the beginning, denying the Vikings from having scoring opportunities. Most of the action was in the Viking end of the field the entire first half. The Spartans were able to control most inbounds, including Viking possessions. 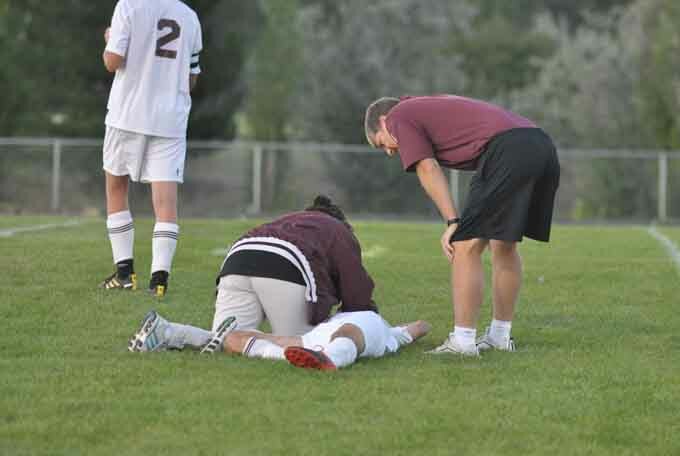 Berthoud first goal came 10 minutes into the game when Michael Berra kicked from just outside the goal box. Three minutes later Berra had another scoring opportunity with only the goalie between him and the net, when he was knocked down and injured. Karlsen Martinius took the penalty shot, but it was wide. 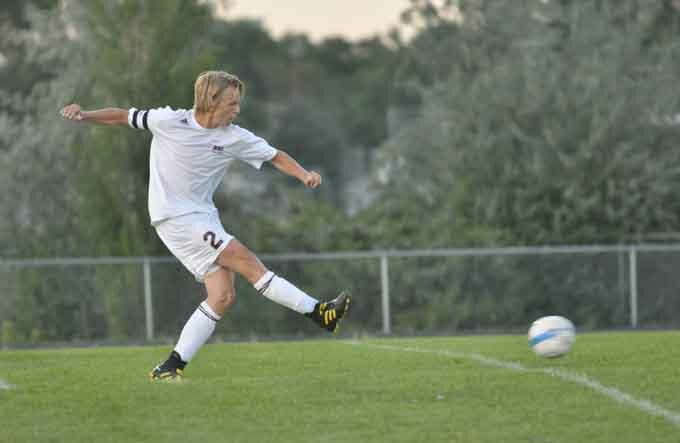 Berthoud scored again with 15 minutes remaining in the half when Mitch Froelich made the goal with assist by Karlsen and Ayala. Froelich scored his second goal of the evening with 4:30 remaining to make the score 3-0. The Vikings took a timeout with a little over a minute remaining in the half. 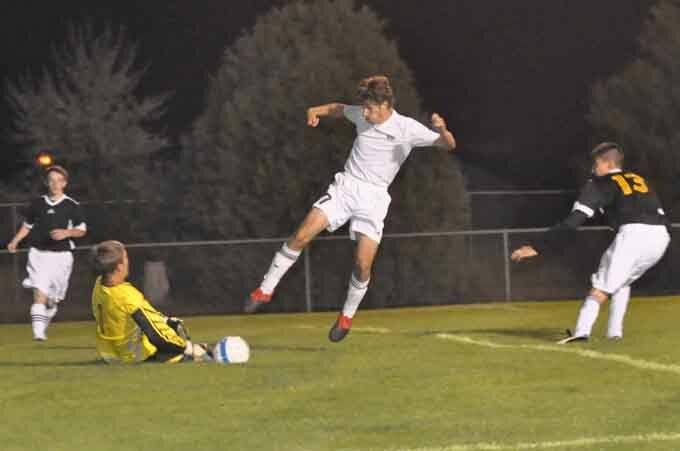 They obviously wanted a score before halftime and played aggressively, but it was Karlsen Martinius who made the goal with 12 seconds remaining to give Berthoud the 4-0 lead at halftime. Berthoud wasted no time in the second quarter as Mike Berra once again made the first goal of the period after two minutes of play. 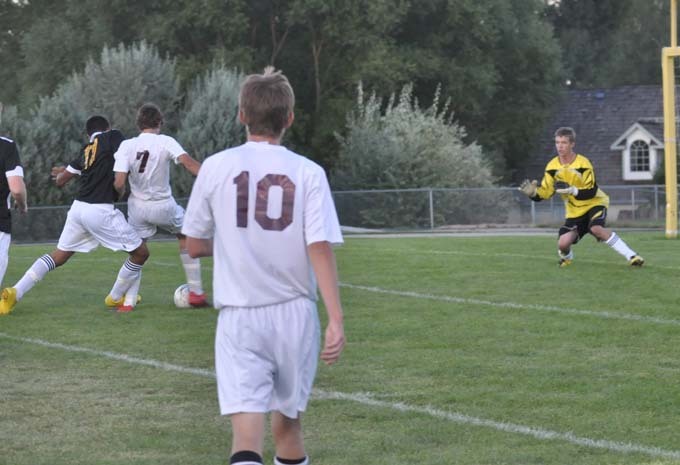 A minute later Mike Froelich took the pass from Axel Ayala and scored Berthoud’s sixth goal of the game. Then at 35:29 remaining Ayala took the pass from Daniel Bosnich and made it 7-0. At this point coach Barron let the starters have a rest and put reserve and JV swing players on the field. Against this lineup, the Vikings were able to keep play at the Berthoud end of the field, but still were not able to score. The last goal of the game came on a penalty kick by Ayala with 12:17 remaining and Berthoud posted a shutout for their first game of the season.